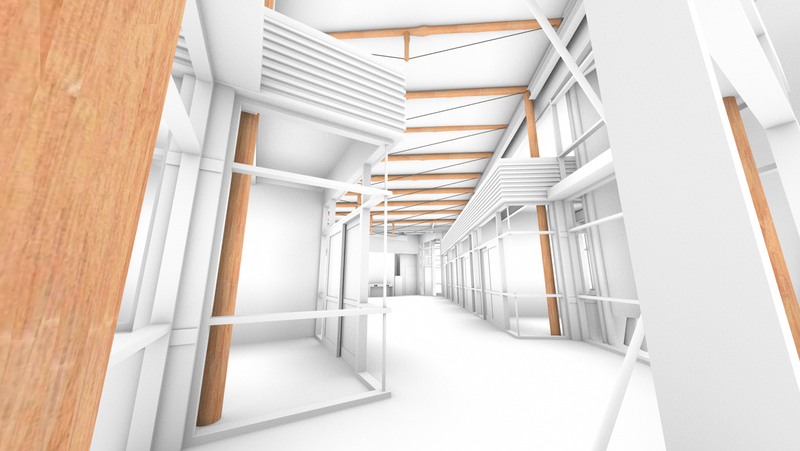 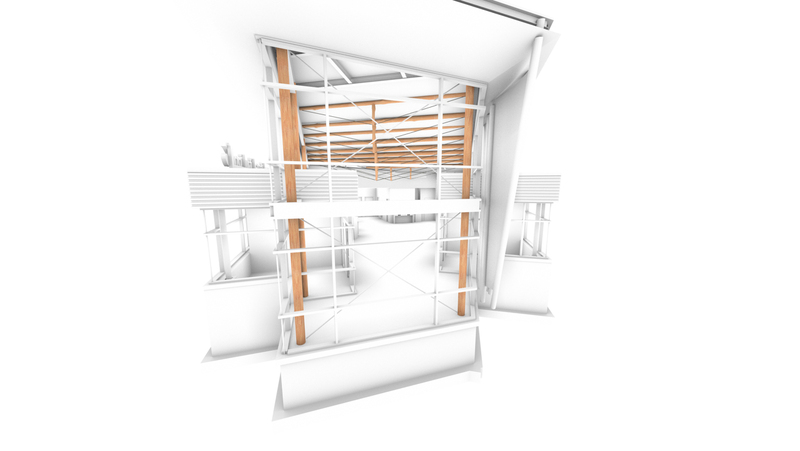 In this concept, WholeTrees worked closely with local architectural firm, Strang, to create a cost efficient truss system that would allow the space to remain open while supporting the lighter loads of the roof. 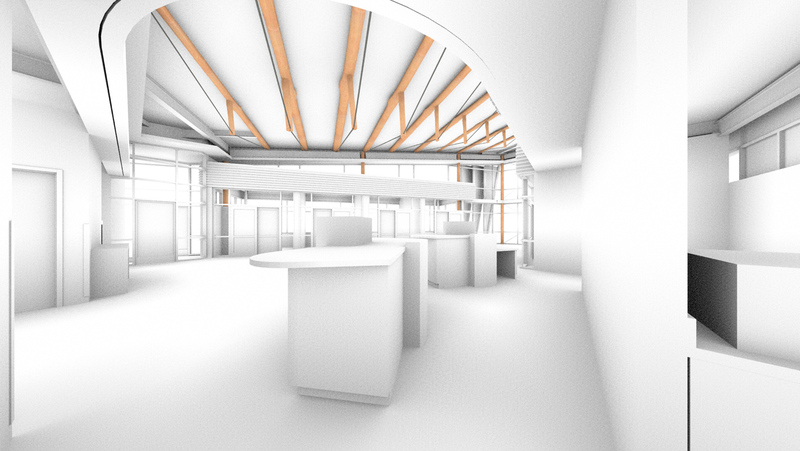 Original concepts called for a dropped ceiling, but the client preferred something more grand and unique. 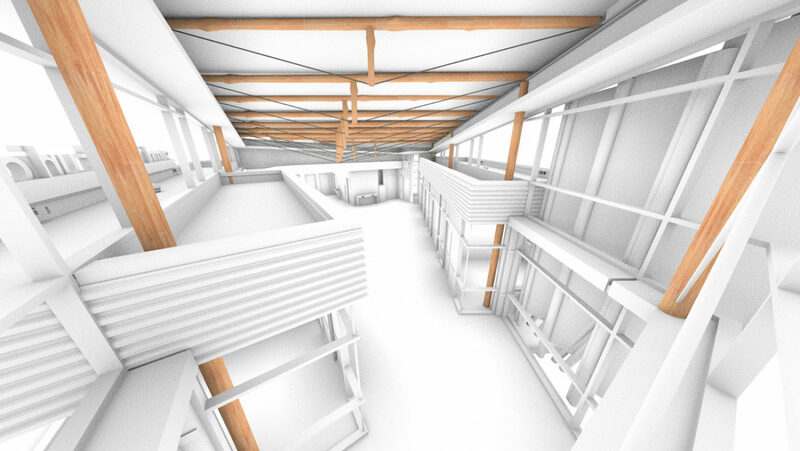 Natural timbers, and tall ceilings give a feeling of spaciousness with a nod to nature. 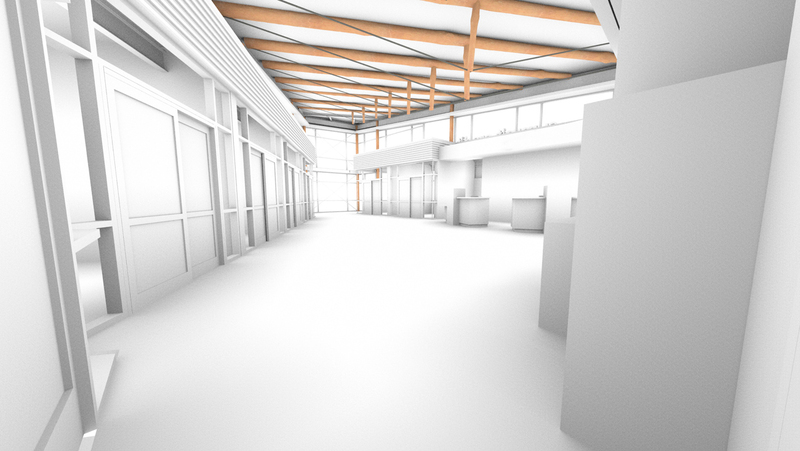 We look forward to watching this project come to life.